Welcome back to the adorable world of Catz! In Petz: Catz 2 (Nyanko to Mahou no Boushi in JP, Catz in Europe), you can now pick your perfect pet companion from over 40 different breeds. Feed and groom her, play with her and pick out toys, accessories and even little outfits to make your cutie even cuter! 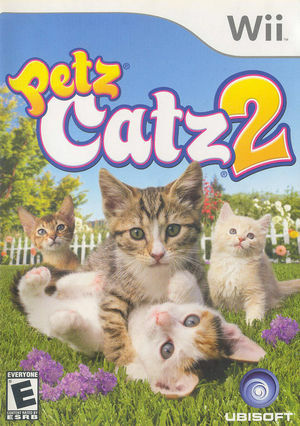 The graph below charts the compatibility with Petz: Catz 2 since Dolphin's 2.0 release, listing revisions only where a compatibility change occurred. This page was last edited on 13 January 2018, at 07:57.